Brightline Train Kills Man In Southeast 4th Street Crossing In Delray Beach | Schuler, Halvorson, Weisser, Zoeller & Overbeck P.A. A pedestrian died after being hit by a Brightline train in Delray Beach, according to the Delray Beach Police Department. The man died immediately from the impact, making it a total of five fatalities involving Brightline Train since it began operations earlier in the year. The crash happened on the northbound tracks, about 100 feet south of the Southeast 4th Street crossing, Delray Beach police confirmed. The victim was pronounced dead at the scene by Delray Beach Police Department. The incident occurred as Brightline tests new signal system upgrades. Any witnesses are urged to call Delray Beach Detective Joseph Hart at 561-243-7800. 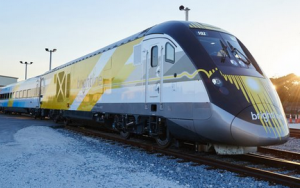 Brightline Train, a private rail line which debuted in South Florida earlier in the year, has now been involved in a total of five fatalities and two non-fatal accidents since it began testing the train in 2017. In the previous incidents, a pedestrian or bicyclist has either attempted to cross the train tracks when a train was approaching or stood on the tracks, police said. The most recent case before this, happened when a man was injured crossing the tracks in Fort Lauderdale.